Two time grammy winner BARRY WHITE was best known for his distinctive, smooth, smokey deep baritone bass voice. Touring with a 40 piece orchestra and his 3 piece female group ‘Love Unlimited’ for which he conducted, composed and arranged he produced memorable hits such as, “Can’t Get Enough of Your Love Babe” “You’re the First The Last My Everything” along with “Never Never Gonna Give You Up” “Ecstasy “Your Sweetness is my Weakness” and “Love’s Theme”. William Hicks tours with his own live orchestra and three piece female group the Soul Sisters with the intention to bring to you an experience as close to real man and his music as possible. With incredible attention to detail and an outstanding performance by William Hicks this show is simply amazing! 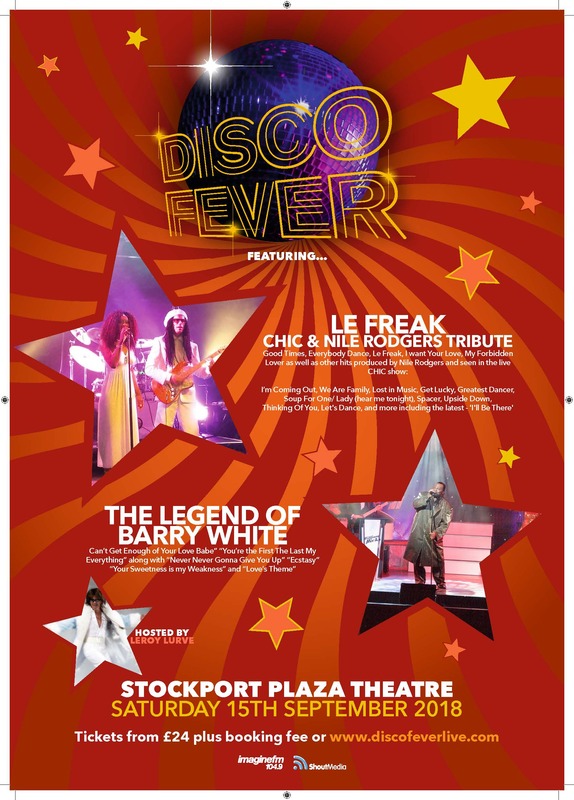 GRAB YOUR TICKETS FOR A NIGHT OF NON STOP DISCO FUN!